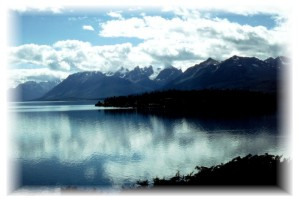 Chilko Lake is the dominant feature of the park, and offers visitors an exceptional outdoor experience. Boating and kayaking are popular pursuits. However, this lake should only be navigated by experienced boaters. Canoeing is not recommended. Due to its size, unpredictable winds, and mountainous shores, Chilko Lake is often disrupted by dangerous waves. Furthermore, water temperatures stay very cold all year, and the lakeshore offers few safe landing places. Facility development at Chilko Lake includes a concrete boat launch for trailered boats at Gwa Da Ts’ih, and a natural launch, suitable for cartop boats, at Nu Chu Beniz. Park visitors should be aware that Chilko Lake supports multiple recreational uses. Boaters should always exercise caution to ensure the safety of all users. Motorized craft are not permitted on the lagoons. These areas are open to paddle boats only. Chilko Lake provides high-quality angling opportunities, and is one of the leading large-lake fishery resources in the Cariboo Chilcotin. The lake has long been recognized as a producer of bull-trout and rainbow trout, and has gained recognition for its spectacular scenery and high catch success of native sport fish. 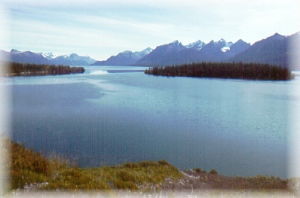 Chilko Lake supports rainbow trout, bull trout, and productive spawning areas for chinook and sockeye salmon. Bull-trout, a blue-listed species, is late-maturing and doesn’t spawn until after its sixth year. As an aggressive feeder, the species is also fairly easy to catch. These two traits, combined with the difficulty in accurately inventorying stocks, make the bull-trout susceptible to over-harvesting. The species’ slow growth and late maturity could result in a recovery period as long as 20 years. 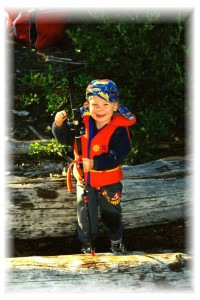 BC Parks is taking a conservative approach to managing fish stocks in the park. Respect gear restrictions and lowered catch limits on bull-trout. Anglers are encouraged to carefully release fish whenever possible. The Chilko River is similarly highly regarded for its fisheries values, and recognized as one of the leading wilderness trout rivers in the west Chilcotin. The river supports spawning and rearing habitat for resident rainbow trout, bull trout, Rocky Mountain whitefish, and steelhead trout. The Chilko River is a classified water. This means that a Classified Waters licence must be purchased before fishing in the river. To conserve stocks, the current regulations on the river include single barbless hooks, flyfishing only, a bait ban, and a catch-and-release policy.